LOS ANGELES, Calif. /California Newswire/ — OpenClose, a leading end-to-end loan origination system (LOS) provider, today announced at the MBA's National Technology Conference that Florida-based Sabadell United Bank, N.A. has realized superior results along with supporting metrics since implementing its multi-channel lending automation platform. OpenClose's solution enabled the bank to grow its lending business at a very rapid rate, without adding staff and in full compliance with constantly changing federal and state-based regulations. Federally Chartered Sabadell United Bank, N.A. currently operates 23 locations, services more than 35,000 clients and has over 700 employees. The organization is a subsidiary of behemoth Banco Sabadell, Spain's fourth-largest banking institution that was founded in 1881, has assets in excess of $170 billion euros, and is one of Europe's oldest, most successful and sophisticated banking institutions. "We needed a solution that could fully automate all of our internal process from soup-to-nuts, flex with our unique way of doing business, scale as we grow, and be implemented quickly and cost effectively," said Howard A. Levine, SVP of consumer and residential lending at Sabadell United Bank, N.A. "We evaluated a number of different LOSs and found all of them to fall way short to that of OpenClose's solution." OpenClose configured its system to Sabadell United Bank's specific retail workflow, trained all staff members, and delivered its Web-based solution in less than 45 days. As a result, originations were catapulted by more than a 200 percent spike in volume while effectively and compliantly managing growth at a healthy, controlled rate. OpenClose's workflow-driven platform provides the bank with robust mortgage banking functionality for production, full decisioning and underwriting capability, compliance, lean processing, paperless document imaging, shipping, post-closing, accounting and secondary marketing. Levine adds: "OpenClose eliminated so many manual touch points from the solution that we were previously using that loans now gracefully move through a very tight, established workflow that rarely involves human intervention. It effectively manages tasks and compliance checks that ensure we are operating efficiently and in full compliance at all times. The overall efficacies, speed and cost savings that OpenClose delivered has been one of our key drivers of success in our in the U.S. operation." "We are very pleased with the immense success that Sabadell United Bank, N.A. 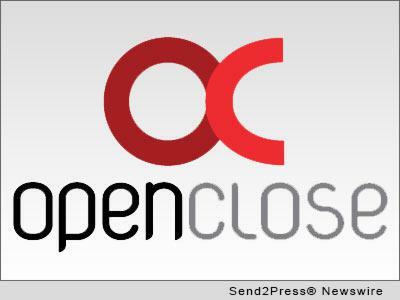 is enjoying with our workflow-driven LOS platform," said J.P. Kelly, president of OpenClose. "Unlike many LOS platforms on the market, we offer an end-to-end system engineered using the same code base from the ground with a single database that is 100 percent browser-based accessible. As a result, clients like Sabadell United Bank centralize data control and can easily access our system from any location at anytime without the need for launching an installed application." Because OpenClose's LOS automates all business channels using a single platform and database, Sabadell United Bank, N.A. can easily expand into the correspondent, consumer direct or wholesale lending channels in addition to its existing retail model. Founded in 1999 and headquartered in Palm Beach, Fla., OpenClose(R) is a leading end-to-end loan origination system (LOS) provider that delivers its platform on a software-as-a-service basis. The company provides a variety of Web-based solutions for lenders, banks and credit unions-from loan origination software to decisioning, website design and social media marketing. OpenClose's LOS is completely engineered by the same company, thus avoiding assembling best-of-breed applications or acquiring technologies in an effort to create an end-to-end platform. The company focuses on providing lending organizations with full control of their data and creating a truly seamless workflow for comprehensive automation and compliance adherence. For more information, visit http://www.openclose.com/ or call (561) 655-6418.